(JTA) — David Blatt, the Israeli American who was fired this season as head coach of the Cleveland Cavaliers, reportedly will interview with the Sacramento Kings for the same position. 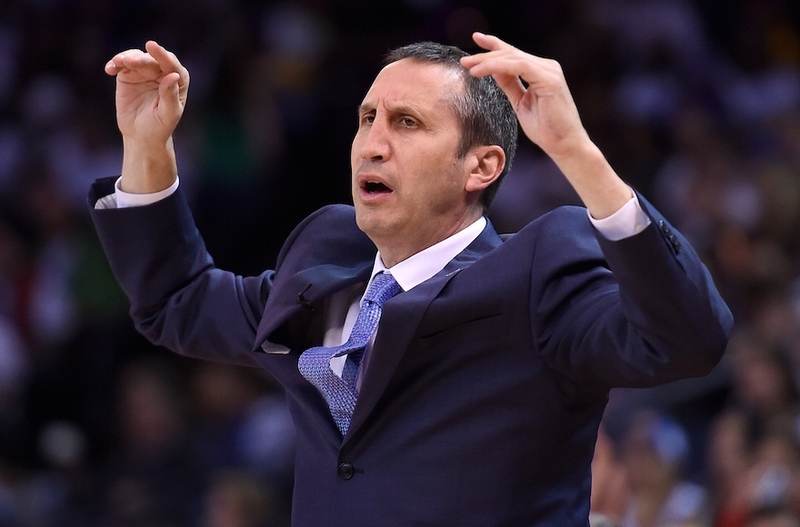 The NBA team reportedly has interviewed several candidates with head coaching experience, ESPN reported Sunday in an article citing unnamed league sources who said Blatt would be interviewed early this week. The Kings recently fired George Karl after finishing 33-49 this season. Blatt interviewed for the New York Knicks last month, though the team is said to be leaning toward interim coach Kurt Rambis, and also was considered by the Los Angeles Lakers before they hired Luke Walton last week. Omri Casspi, the first Israeli to play in the NBA, is coming off a strong season with the Kings. Casspi also played for Maccabi Tel Aviv, which Blatt coached to the 2014 Euroleague championship. At the time of his firing in January, Blatt said he wanted to remain in the NBA, as opposed to returning to coaching in Israel and the European leagues, where he led Maccabi Tel Aviv to five national titles and the Euroleague crown. He also guided the Russian national team to a bronze medal at the 2012 London Olympics.